Found 9 file extension associations related to DNA Baser Sequence Aligner and 5 file formats developed specifically for use with DNA Baser Sequence Aligner. It provides automated end trimming (clipping), so there is no need to trim manually the low quality bases from the ends of the trace files before contig assembly. This saves considerable time, especially when assembling many DNA sequences. DNA Baser offers a smart navigation system that takes you to the location of each sequence ambiguity / mutation with only a single click. Automatic cleaning (trimming) of the bad ends of chromatograms, based on the Quality Values (QV). Synchronized display between chromatograms and contig. Proprietary algorithm for correction of the ambiguous bases. A rapid navigation between mismatches. Chromatogram viewer and editor (ABI and SCF). Automatically save the contig to disk. Automatic primer detection and vector removal. Conversion between several file formats. 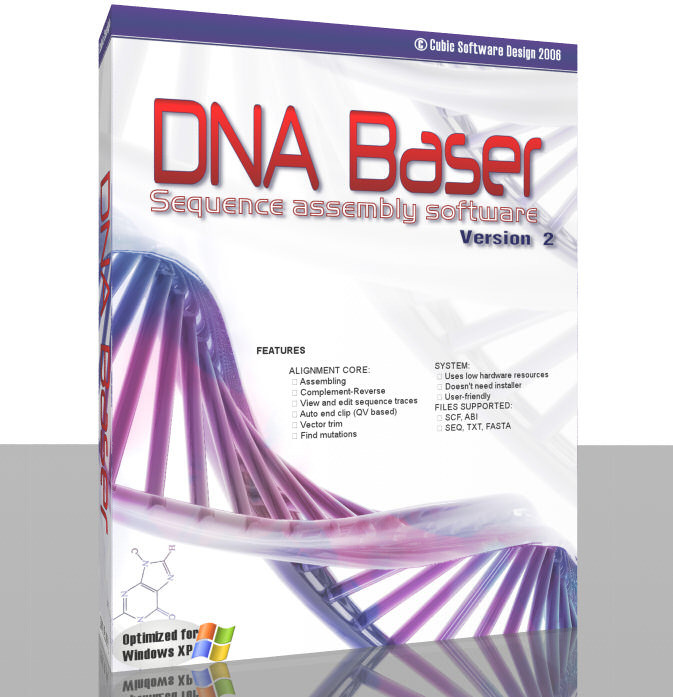 If you need more information please contact the developers of DNA Baser Sequence Aligner (Heracle BioSoft SRL), or check out their product website.